Stoked Yogi is proud to have the world’s largest network of water-loving yoga teachers. Our alumni are Yoga Alliance registered, PaddleFit certified, water safety and rescue educated coaches who thrive on teaching people how to safely adapt their yoga practice to the water. Our SUP Yoga locator can guide you to a qualified teacher in your area. We have teachers across the globe! Looking for a SUP Yoga class, stand up paddle board lesson, or pool yoga or fitness session near you? Use our SUP Yoga locator to find qualified, passionate, gifted teachers in your area. We look forward to seeing you on the water! Visit us here for San Diego classes. SUP Yoga with Charlotte Rindinger. Flagship location on San Diego's Mission Bay offering SUP Yoga, paddle board lessons, SUP rentals, private lessons and events, retreats, PaddleFit certifications and teacher trainings for SUP yoga teachers and master trainers. SUP Yoga classes, lessons, adventures, retreats and Stoked Yogi teacher trainings with master trainer Leda Olmsted and Fluid SUP. SUP lessons, SUP Yoga classes, and Stoked Yogi teacher trainings with master trainer Stevie Rodis and APincha Yoga. SUP lessons and SUP Yoga classes, floating fitness, retreats, and Stoked Yogi teacher training with master trainer Melanie Smith and the Miss Melanie Yoga team. SUP lessons, rentals, SUP Yoga classes, sunset SUP tours, beach yoga, studio classes, and Stoked Yogi teacher training with Rachael Croll and Salty Buddha Yoga on Anna Maria Island, FL. SUP lessons and SUP yoga classes with founder of Soulful SUP and Yoga, Theresa Sheremeta in Salisbury, CT.
SUP lessons and SUP Yoga classes with Kelly Wetherille and Shine On SUP Yoga in Tokyo and Kamakura, Japan. SUP lessons, rentals, and SUP Yoga classes with Northwest Paddleboarding founder Krista Patterson. SUP lessons and SUP Yoga classes with Kimberly Creswell & Carrie Fraser in Ann Arbor, Michigan. SUP lessons, SUP Yoga, yoga classes with Roo Morgan in Chelsea, Michigan. 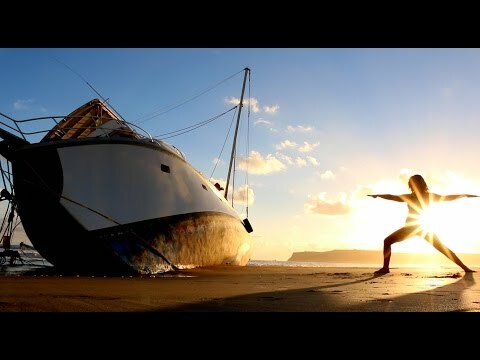 Yoga, SUP lessons and SUP Yoga with Down Dog Yoga Center and Kristin Fiore. SUP Yoga, SUP lessons, and studio yoga classes with Christina Bollino and Beachbee Yoga and SUP. SUP lessons, SUP Yoga and SUP Fitness classes in open water and indoor pools with Kelly Pierce and Shaka Fitness. SUP Yoga classes and fitness with Jess Donohue. SUP Yoga with Natasha Palmer through Idaho River Sports. SUP Yoga and SUP Fitness with Kati Potts in Columbus, Ohio. SUP lessons, SUP Yoga and studio classes with Lisa Riente of Blue Dog Yoga and Wellness in Camden, SC. SUP lessons and SUP yoga classes in Mandeville, Baton Rouge, Hammond, and New Orleans. SUP lessons and SUP Yoga with Lisa Gaumond of Local SUP in Vernon, CT.
SUP lessons, SUP yoga and SUP fitness with Mindy Coulter and Positive Vibes SUP Fit. SUP lessons, SUP Yoga in local lakes and pools with Casey Thoma and Stand Up and Flow team. SUP Yoga classes taught by Heather Bouchelle at Bay Venture Outfitters. SUP Yoga classes with Audrey Delong and OnWater Yoga in Redding, CA. SUP Yoga classes with Elizabeth White in Ventura and Oxnard, CA. SUP Yoga classes and private lessons with Stacie Lindhardt in St. George, UT. SUP Yoga and floating pool fitness classes with Stefanie Jillian of Yoga Bunny Fit. Kula SUP is a floating fitness studio offering a wide variety of stand up paddle boarding classes, workshops, and adventure retreats! Locations: Lake Como, Smyrna, DE; Newark Reservoir, DE; Bohemia River, MD; Paradise Grill, Millsboro, DE. SUP Yoga classes with Chandra Reilly of Tidal Bliss Yoga. SUP Yoga classes, indoor pool floating fitness and studio yoga with Amanda Quintanilla and Just Be Well Yoga. SUP lessons, SUP Yoga classes, group paddles and retreats with Sally Lyons and Sweetwater Yoga in Clarklake, MI. Yoga, SUP Lessons, SUP Yoga with Michael Calogero. Yoga and SUP Yoga with Laura Frie. Serving women and girls in York & Lancaster, PA.
SUP Yoga and SUP Lessons with Genna Lepore. SUP Yoga and Stand Up Paddle Board Lessons with Tara Scheller.